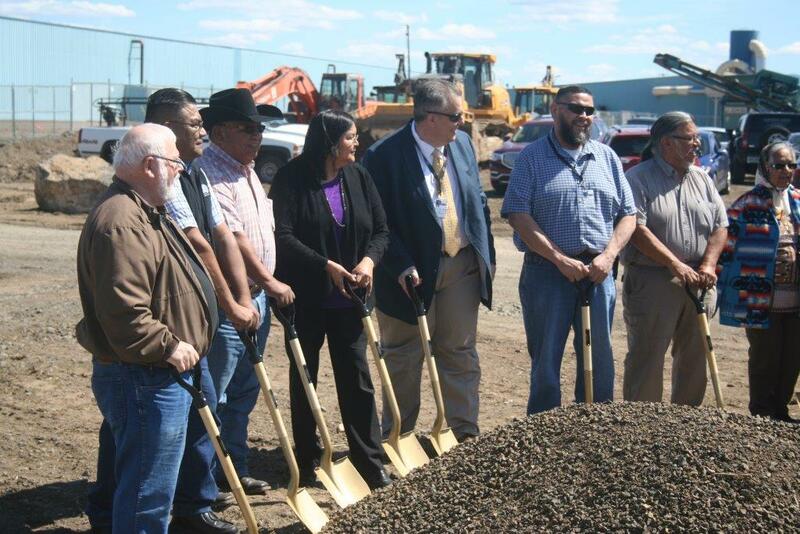 Warm Springs Tribal Members, local Jefferson County and City of Madras executives, celebrate the official ground breaking of the Warm Springs Travel Center. The Travel Center is being constructed on a 10-acre site near the airport industrial park in Madras. The Travel Center is a $6 million dollar 13,300 square foot facility that will include a convenience store, kitchen & dining area, auto and truck fueling stations, bathroom and shower facilities, as well as a gaming room. 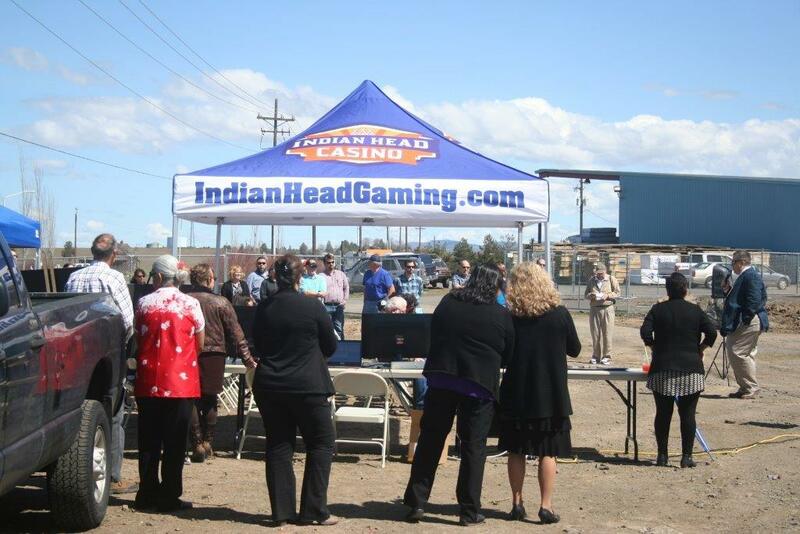 The gaming will be associated with the Indian Head Casino and the Tribes of Warm Springs. The project is a CM/GC contract, Kirby Nagelhout Construction Company as the General Contractor, and BBT Architects from Bend is the Architect. The project should be completed in the spring of 2018. During the safety week, each jobsite throughout the State will have informative talks about safety, job site hazards and KNCC’s continued commitment to safety. These events will be interactive and informative, promoting training, awareness and education for each of our employees and subcontractors. 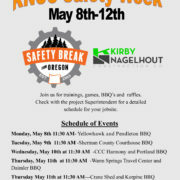 Several individual jobsite barbeques are scheduled throughout the week and on Friday May 12, employees are invited to a barbeque hosted by KNCC management at the Bend Office where tools and safety equipment will be given away during a company sponsored raffle. This event is planned each year and organized by the Kirby Nagelhout Construction Company Safety Committee. Cleaned bricks from the Kenwood Gym will be given to individuals on a first come first serve basis by the Bend LaPine School District. On January 12, 2017, the roof collapsed at the Kenwood Highland Magnet School because of heavy snow fall that had accumulated from winter snow storms. 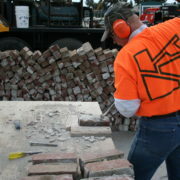 The bricks were transported to the construction yard and cleaned by Kirby Nagelhout Employees as a public service at no charge to the School District or Tax payers. “We take great pride in giving back to the community that has been so good to our company. It was apparent that the bricks meant a great deal to some of the citizens that attended school at Kenwood and we are proud to provide the service.” said Kirby Nagelhout Construction Company President Jeff Deswert. 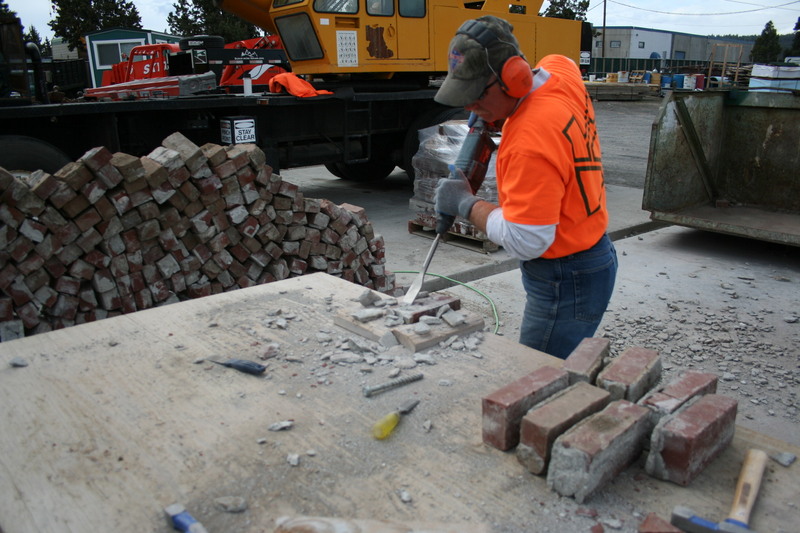 More than 1000 bricks will be transported to High Desert Middle School and one brick will be given to each person that requests a brick. The event is scheduled this Saturday, April 8, from 11a.m. 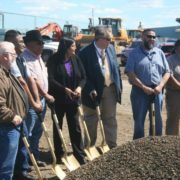 to 1 p.m.
After a great deal of hard work and anticipation, the Ground Breaking for the new Sherman County, Oregon Annex Building and renovation project is underway. The project is a 15,250 s.f. project due to be completed in the summer of 2018. 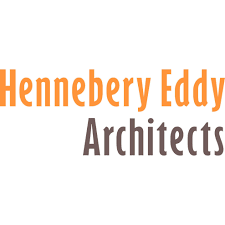 The project Architect is Hennebery Eddy Architects and Wenaha Group of Pendleton, Oregon, is the Owners Representative. 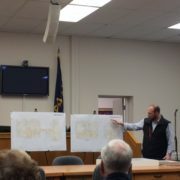 During the Ground Breaking Ceremony, Brian Powell of KNCC was asked to make a presentation for the upcoming schedule and project construction plan. 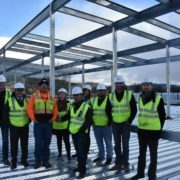 Kirby Nagelhout Construction Company takes a great deal of pride in giving back and supporting communities and their investment in construction projects such as the Clackamas Community College (CCC), Harmony West Building. KNCC, management staff and employees take time to show students studying project management at CCC, the in progress construction project for some actual hands on lessons and instruction during a normal work day for our crews at the Clackamas West Building. 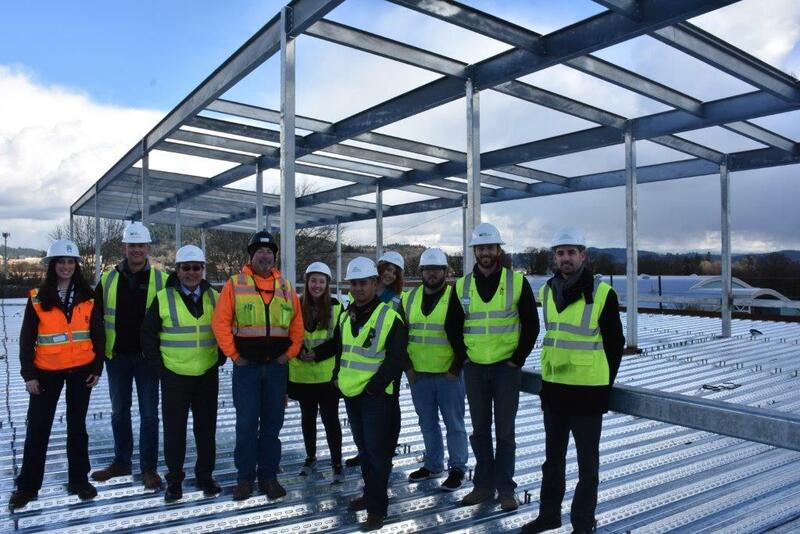 This picture was taken on the roof of the building at Harmony West and pictured is Angela Douglas of INICI Group, Frank Corona of CCC, Nic Byers of HEA, John Zarr, Paul Staalesen and Gus Gaviglio from KNCC, as well as students and staff from Clackamas Community College. 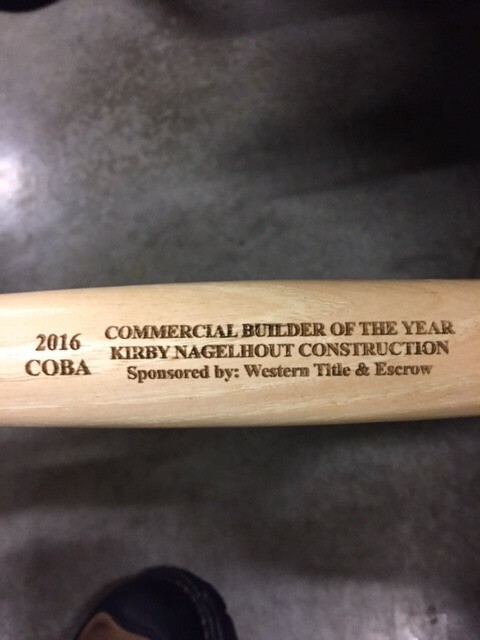 At the annual awards banquet held by the Central Oregon Builders Association (COBA), Kirby Nagelhout Construction Company was awarded the 2016, Commercial Builder of the Year Award. The award was presented by Tim Knopp the Executive Vice President of COBA. “KNCC, has won dozens of awards for excellence including the Bend Chamber Business of the Year, Building a Better Central Oregon, the Governors Livability Award and the World of Concrete, Excellence Award. KNCC, is also a major donor to many Central Oregon Charities. This is their 5th. COBA Excellence Award” stated Executive Vice President Tim Knopp. Kirby Nagelhout Construction Company (KNCC) has been awarded the contract for Clackamas Community College Phase II Harmony Project. In a Clackamas Community College Board of Education meeting held on July 27, 2016, KNCC was awarded a 12.7 million dollar contract for the construction of the Harmony Phase II Project. The new building will be a three story steel and concrete structure totaling 43,634 square feet. The building will feature classrooms, Chemistry/Biology Labs, a Criminal Justice Study area, community event space and a bookstore. The architect for the project is Hennebery Eddy Architects and is scheduled to be completed fall of 2017.